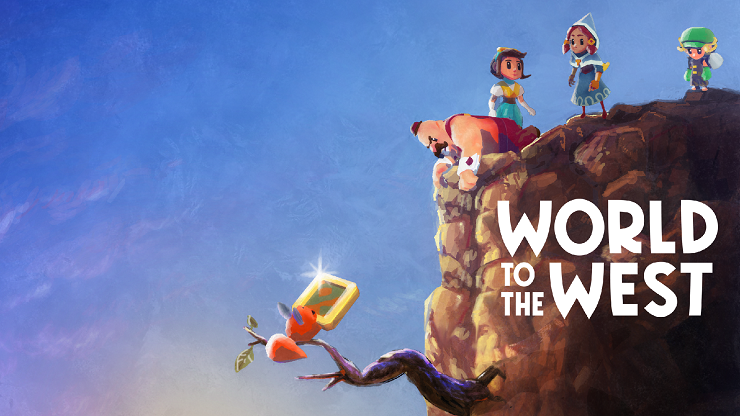 World to the West tells the story of four individuals from vastly different backgrounds, that are destined to team up and stop an evil plot from being carried out. Now, that doesn’t sound like the most imaginative or indeed the most interesting story. And to be frank it’s not, but thankfully, that destined mission doesn’t occur until the game’s ninth chapter. Before that point, you’ll experience some backstory for each of the characters as they carry out missions purely for their own interests, before pairing up in different ways to carry out smaller missions for a mysterious blue woman who eventually brings them all together. These smaller chunks are strung together by boss fights and cutscenes, with each being well written and often humorous, with character’s personalities and motivations being highlighted. All of this makes for an enjoyable experience as you get to know the four heroes and help them on their respective quests, while the standard gameplay is broken up into smaller, manageable chunks. 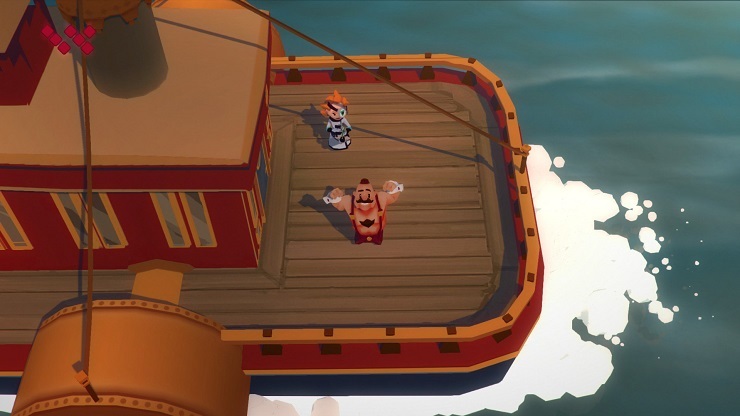 Reminiscent of classic Zelda titles, the majority of gameplay in World to the West revolves around players being given a set point to reach on the map and travelling their group of colourful characters over to it. The challenge then comes from figuring out how to manoeuvre each hero to the desired location as each has a unique skillset, tailored only to dealing with specific obstacles; Clonington is big and strong so he can smash objects and climb up ledges. Lumina is a Teslamancer, meaning she can utilise electricity based magic to teleport and flick switches. Miss Teri is a quick and nimble thief with the ability to control animals, and Knaus is a young lad armed with a shovel, dynamite and magic ice skates. Those abilities also enable each hero to reach a chunk of the hidden, etched stone tablets scattered around the world, which reveal background about the game’s fantastical setting and unlocks a trophy every time you grab one. I’ve yet to encounter a better incentive for hunting collectibles, but generally, veering from the beaten track into the puzzle-filled game world to grab one world feels satisfying enough without it. Simply spending time in the world is even a delight thanks to the cute and colourful art style, excellent instrumental soundtrack and fantastic animation, bringing it all to life. Reaching chapter nine though, is when flaws begin to appear. At this point, the game sends you far across the map into entirely unexplored territory, meaning you have no unlocked fast travel points anywhere near your destination and have to individually trek all four heroes through the same locations to reach two different destinations. Doing this all at once is tedious and takes a long time, all the while the boss fights, cutscenes, personalities and humour are completely absent, resulting in the gameplay feeling repetitive by the time it’s over. Couple that with the aforementioned story issues arising towards the game’s end and it puts a tremendous dampener on the whole experience, particularly since the horrendous “evil” they’re sent to halt has also only been seen twice before this point and both times he seems to be no more than a petty crook. Adding an extra chapter to break down the map exploration a bit would significantly alleviate these issues but as it is, the quest to stop the bad guy hardly seems worthwhile even if he does get his hands on that weather machine. So don’t go into World to the West expecting an epic adventure story. Instead, expect to find a cast of likeable, wonderfully animated characters and a world that is delightful to spend time in, thanks to it’s sound and visual design. It can be a bit repetitive, but it’s fun to explore, and you’ll be in for a treat. 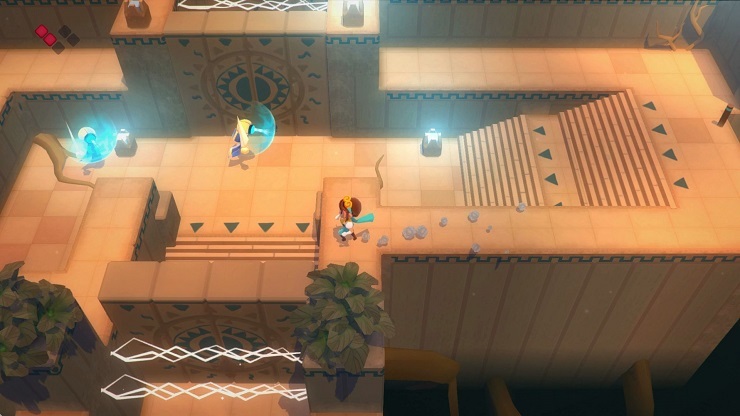 World to the West puts players in control of four unlikely heroes with unique skillsets and tasks them with exploring a puzzle-filled map. The world and its humourous characters are presented in a delightful art style and the soundtrack is great but the gameplay becomes repetitive in lengthier chunks.